Whether you're upgrading or just getting started, this kit has your equipment needs covered. 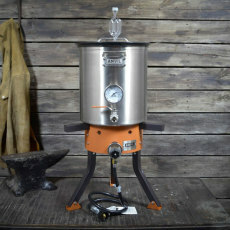 A durable kettle complete with clad bottom, etched level graduations, thermometer, valve, and dip tube can be used to brew and ferment in with the Ferment In a Kettle Kit included. The High Performance burner is quiet, efficient, and fast with multiple height options, high temp. coating, and an integral heat shield. Put these products together and your brew day is sure to be a success! 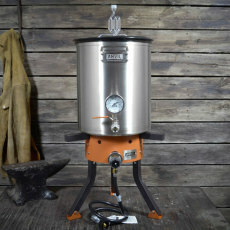 Comes with a 7.5 Gallon Anvil Kettle, 7.5 Gallon Ferment in a Kettle Kit, and Anvil Burner! 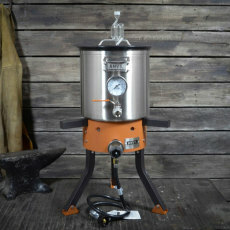 Comes with a 10 Gallon Anvil Kettle, 10 Gallon Ferment in a Kettle Kit, and Anvil Burner! 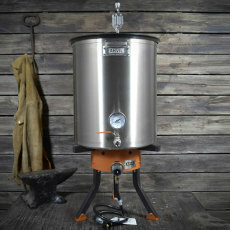 Comes with a 15 Gallon Anvil Kettle, 15 Gallon Ferment in a Kettle Kit, and Anvil Burner! 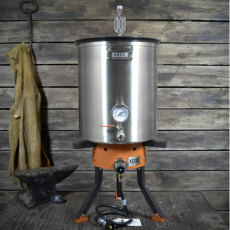 Comes with a 20 Gallon Anvil Kettle, 20 Gallon Ferment in a Kettle Kit, and Anvil Burner!